But no, the Compton rapper continues to deliver annoyingly impressive music, dropping this latest album, which isn’t really an album – more of a selection of odds and ends that didn’t make the final cut of TPAB. All the tracks are titled ‘Untitled’ and are supposedly unmastered (although suspiciously well-produced with the deliberate exception of Untitled 7’s second half, which is a raw recording). The lack of song titles complicates things somewhat – not only is it more tricky for me to reference tracks in this review, but I’ve never been skilled at deciphering song themes despite an English degree, meaning I’m practically lost without a big bold title to point me in the right direction. Kendrick seems to further encrypt the process by offering some of his most impenetrable lyrics to date: ‘Get God on the phone/ said it won’t be long/ I see jigaboos, I see styrofoams’. Using Rap Genius as my Rosetta stone, I’ve since been able to translate most the verses, and there are song themes present, most of which appeared on TPAB (e.g. Kendrick coming to terms with his success, issues of race). The lack of fresh topics does make this album feel less crisp, but that’s to be expected on an album made up of leftovers. Besides, how Kendrick raps seems to make up for what he raps. 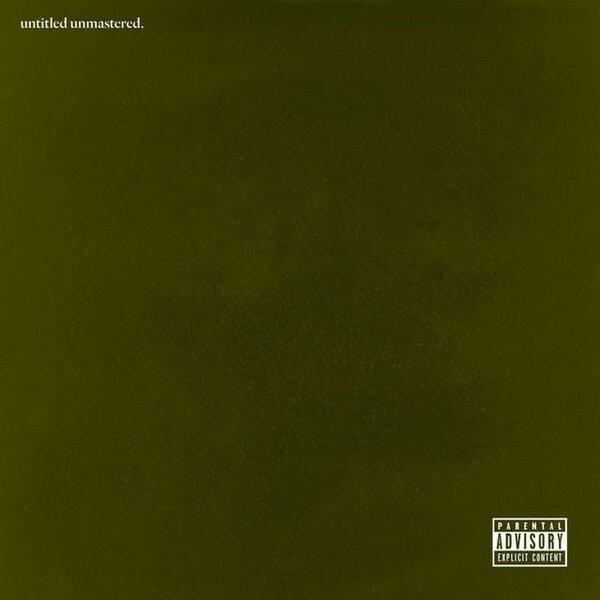 His inflections on Untitled Unmastered are some of his most engaging and inventive yet, acting as props to the characters he plays, as well as contributing whole new added meanings that his lyrics cannot provide. Untitled 2’s doo-lally delivery reflects the loopy lyrics which paint a man on the edge of sanity (or perhaps he’s trying to play a codeine addict, hence the ‘I see styrofoams’ line). Untitled 4 meanwhile features some wild whispering from Kendrick in the background, ‘tell em when you went to the park and everyone came back and…’ perhaps a representation of his conscience trying to interject with guilty suppressed thoughts. Accompanied by some of his most imaginative instrumentals yet, Untitled Unmastered proves Kendrick is a man at his creative peak. The jazzy horns and keys of TPAB make a return, a few more 808s weaving their way in, the result being the most sophisticated bangers you’re likely to ever hear. Of course, being a selection of demos, there are moments where the absence of editing shows. The record is low on hooks and some tracks outstay their welcome. Whilst I love the smoky lounge groove of Track 5, it runs on an extra minute longer than it needs to, and Track 7’s lo-fi ending is an interesting feature but not interesting enough to sustain nearly four minutes (plus Kendrick’s chuckling makes me feel like I’m frustratingly left out on some inside joke).